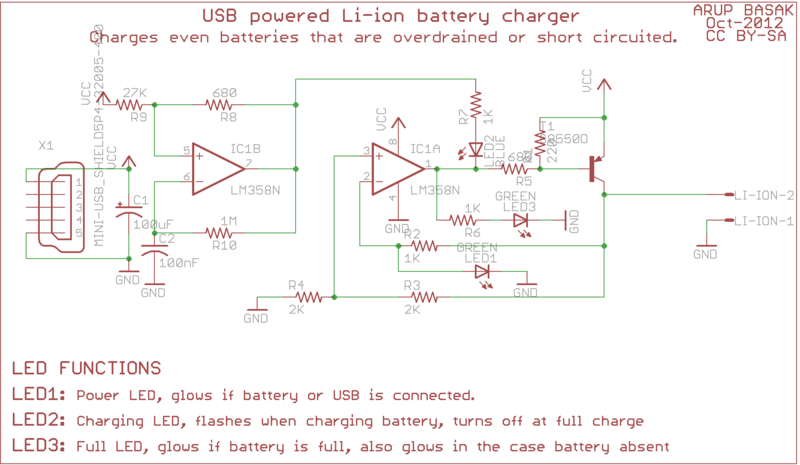 This is a simple li-ion charger without a dedicated li-ion charger IC. 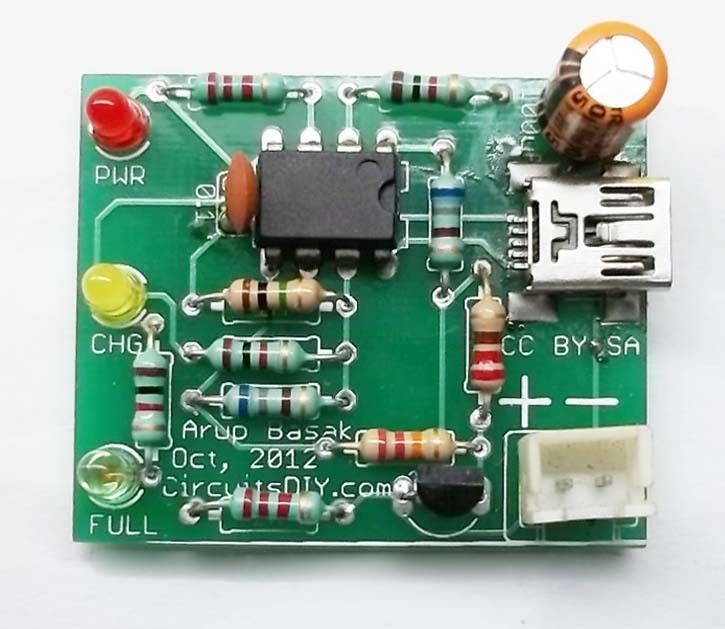 This circuit can be used to efficiently and intelligently charge any single cell Li-ion battery pack like mobile battery, digicam battery, etc. Charging via mini-USB connector which is very common. Simple circuit by using opamp, resistor, and not by any complex dedicated IC or micro-controller. Charges completely drained (0V) battery packs. Max charging current 500mA(limited by USB supply), depending on battery. Here’s the corrected schematics and the board design of the circuit. Current Status: Completed and released. PCB and full kit available for buying on request.